Karl Pilkington: Adventurer. Philosopher. Idiot. Presenting the Travel Diaries of Karl Pilkington: Adventurer. Philosopher. Idiot. Karl Pilkington isn’t keen on travelling. Given the choice, he’ll go on holiday to Devon or Wales or, at a push, eat English food on a package holiday in Majorca. Which isn’t exactly Michael Palin, is it? So what happened when he was convinced by Ricky Gervais and Stephen Merchant to go on an epic adventure to see the Seven Wonders of the World? Travel broadens the mind, right? 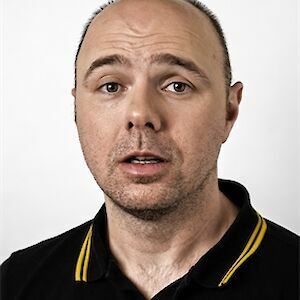 Karl Pilkington is the author of seven bestselling books: The World of Karl Pilkington, Happyslapped by a Jellyfish, Karlology, An Idiot Abroad, The Further Adventures of An Idiot Abroad, The Moaning of Life and More Moaning. He was part of the Guinness World Record-breaking podcast The Ricky Gervais Show, which was downloaded over 300 million times and became an animation for HBO in the USA. He also starred in three series of Sky 1’s global hit An Idiot Abroad and most recently, The Moaning of Life.